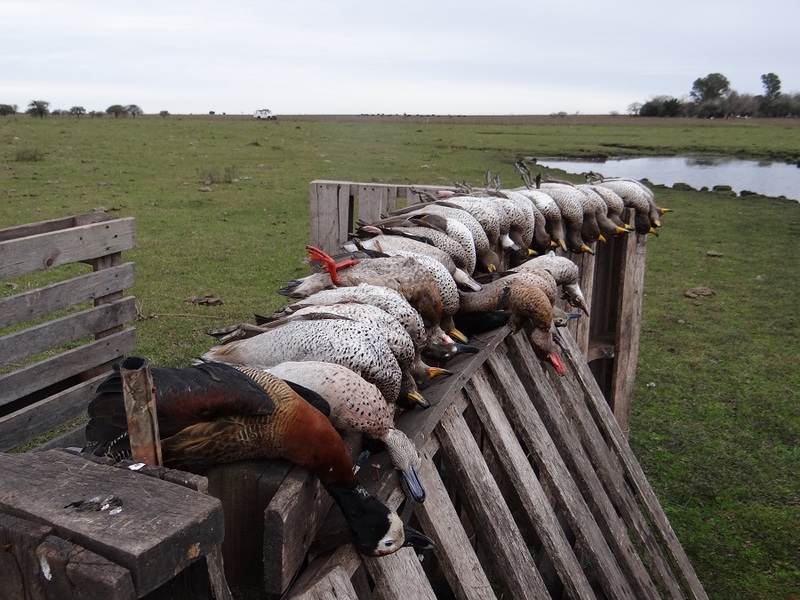 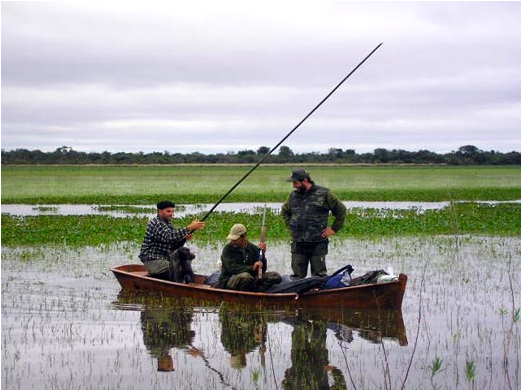 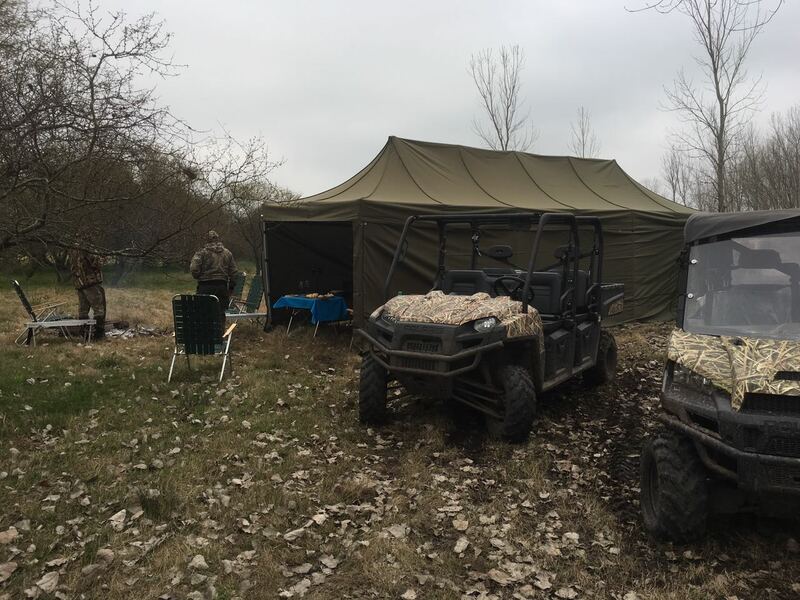 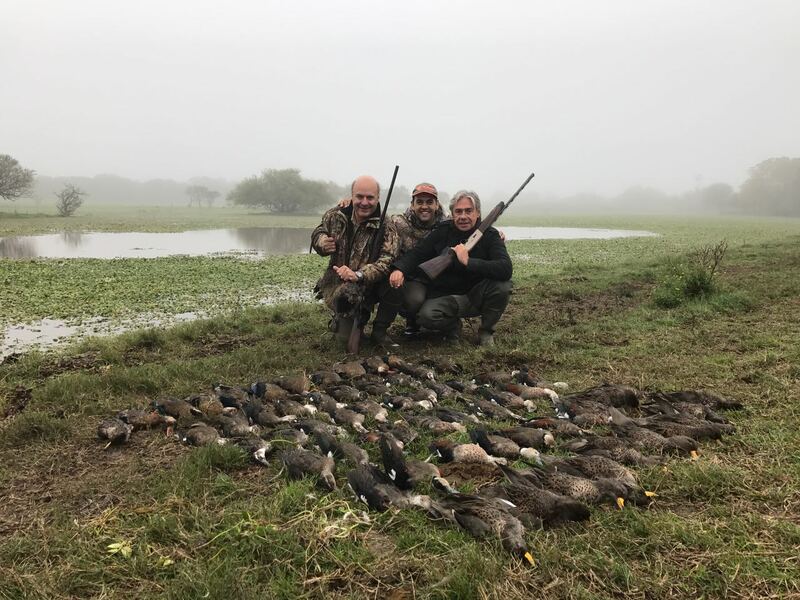 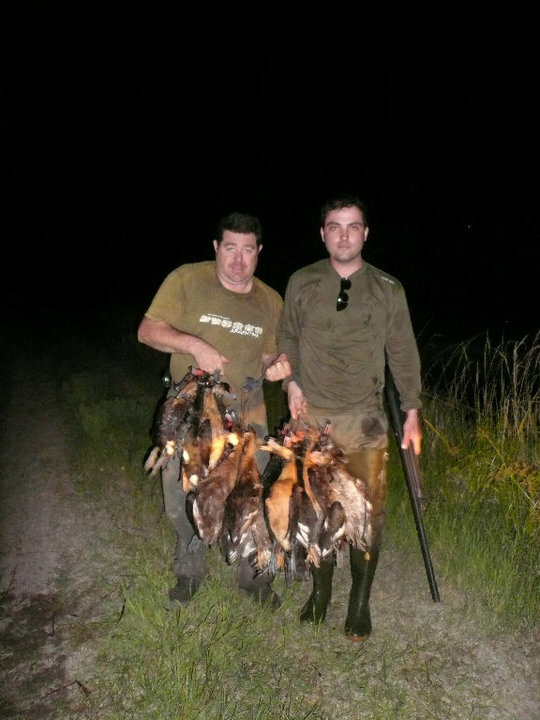 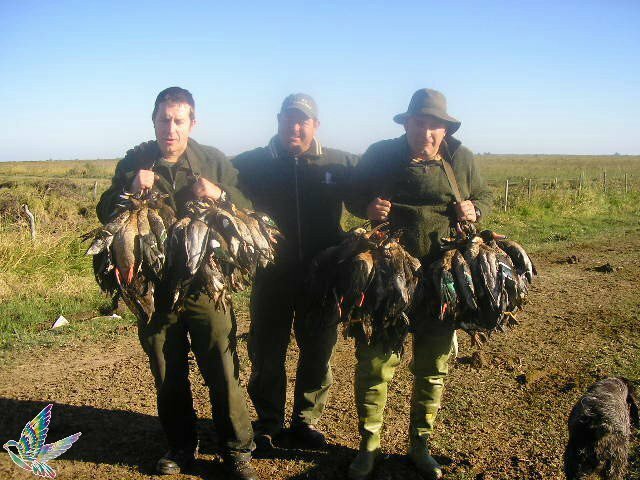 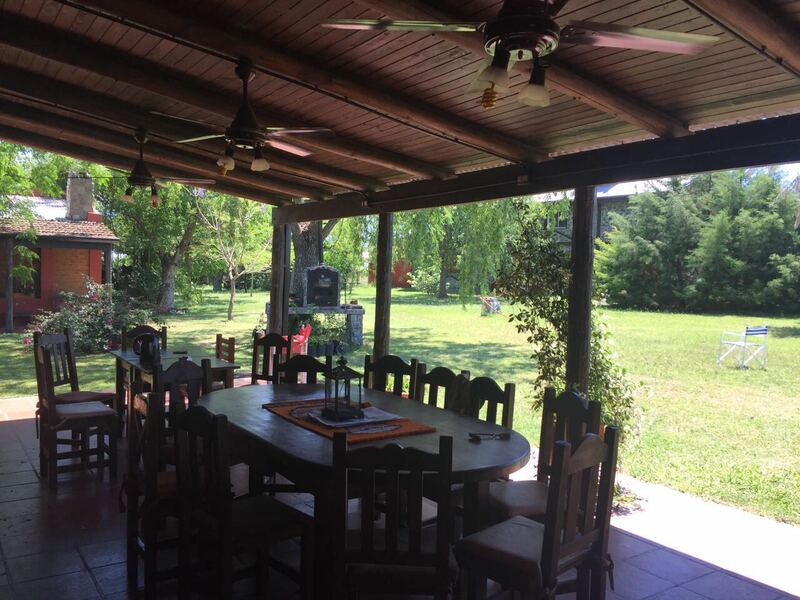 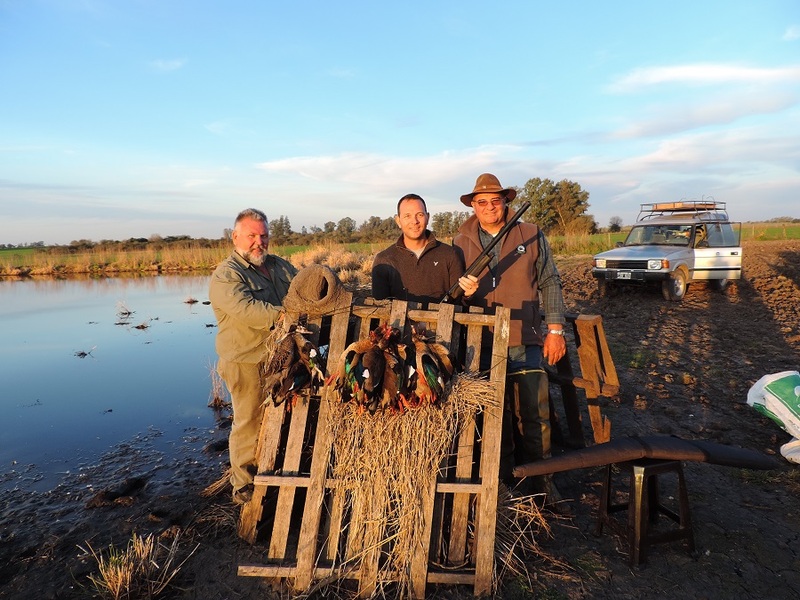 Argentina has many things to offer, probably the best small game hunting of the world, very nice big game also, fishing, great landscapes, friendly people, historic places, as well as great wines and cuisine. 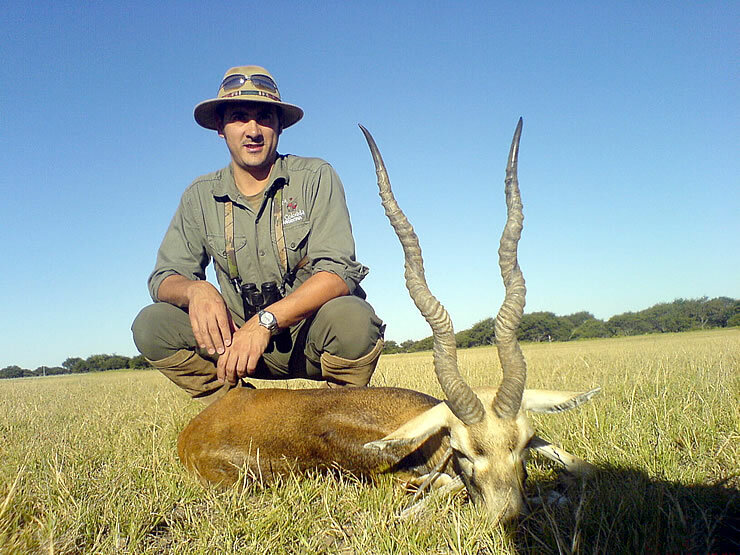 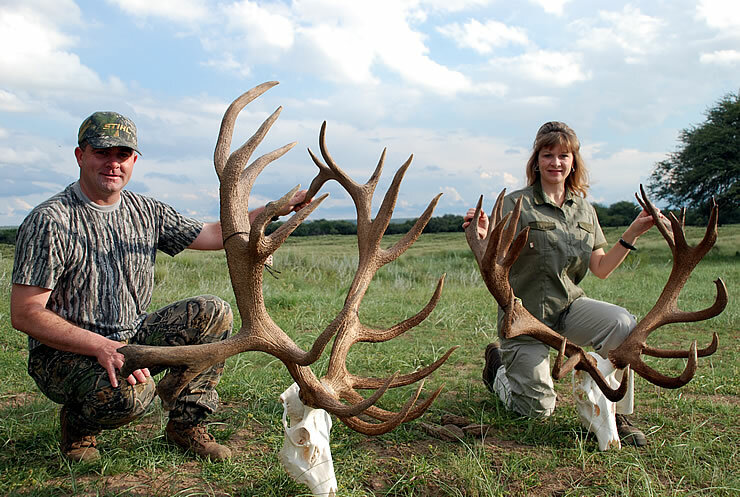 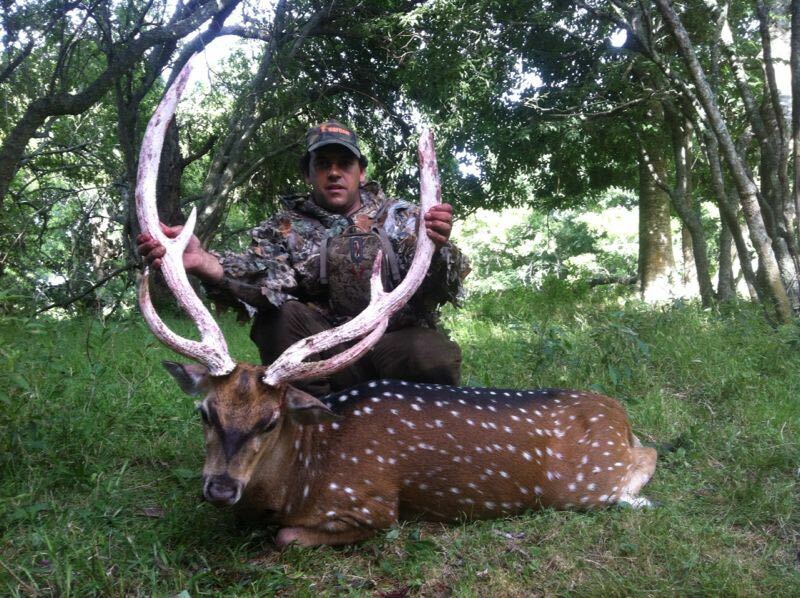 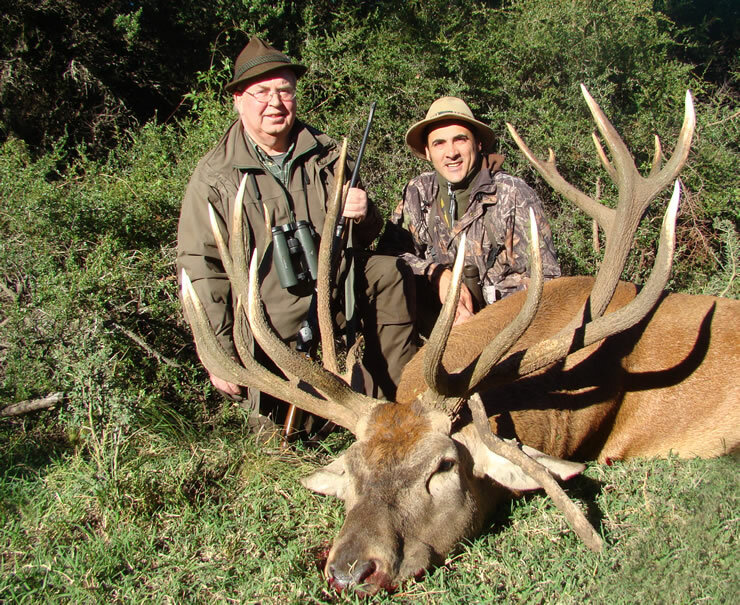 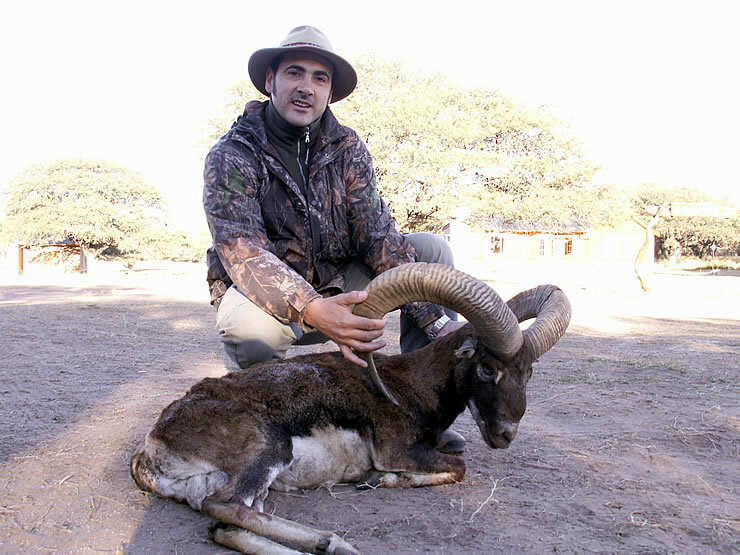 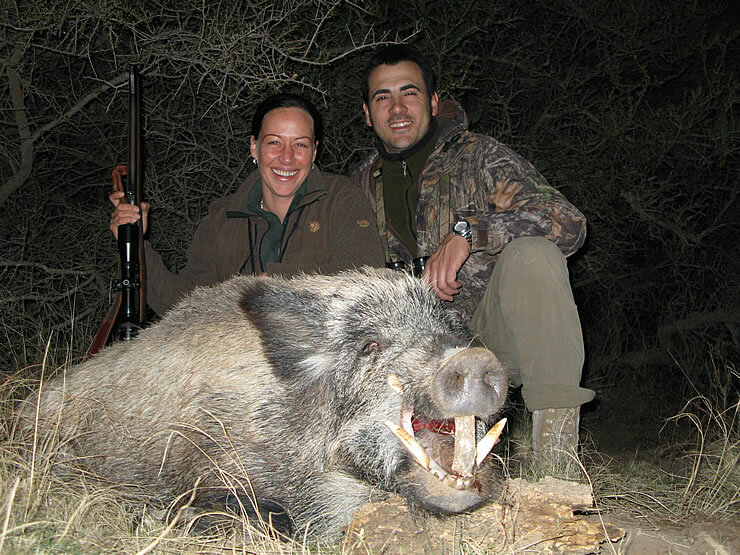 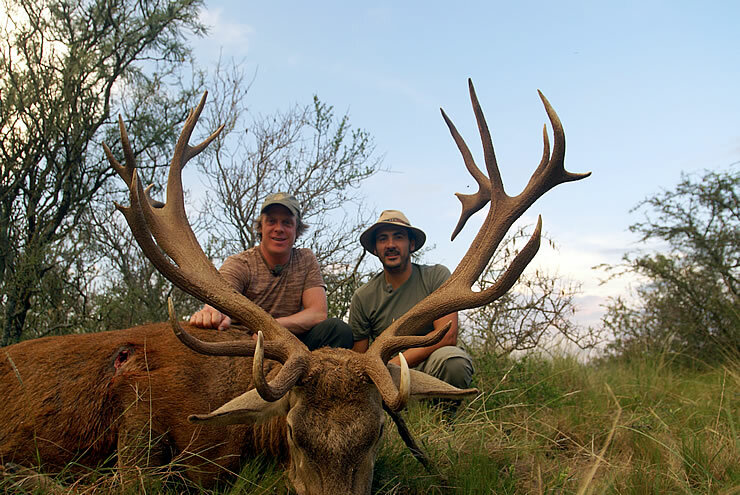 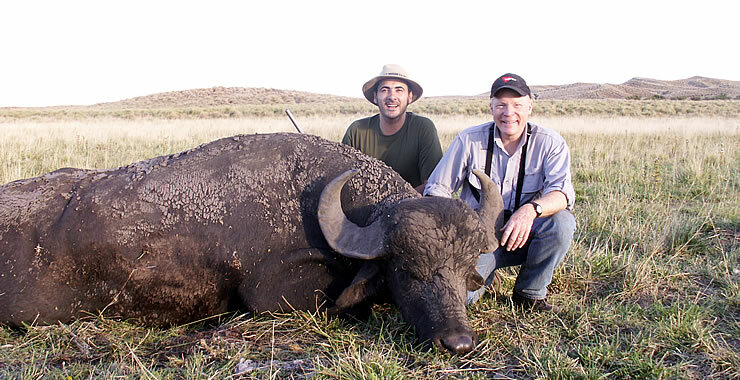 Argentina offers the opportunity of collecting many big game species. 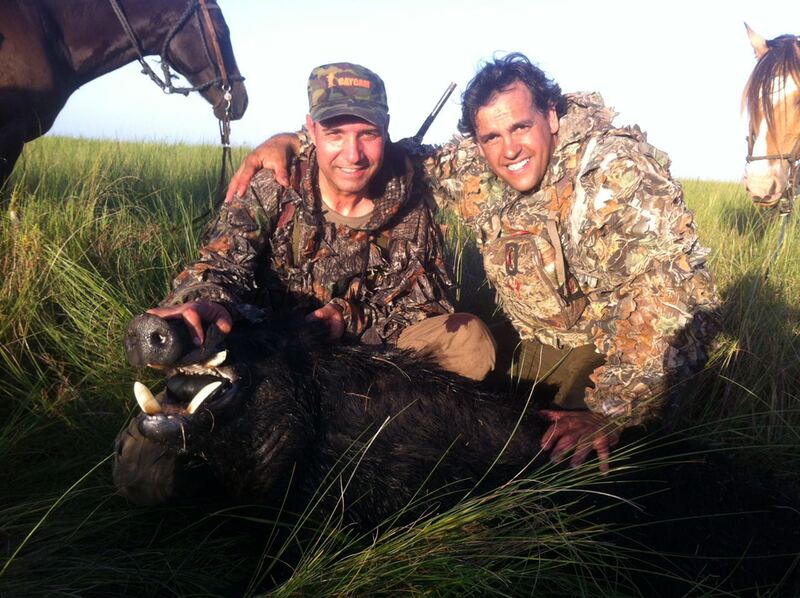 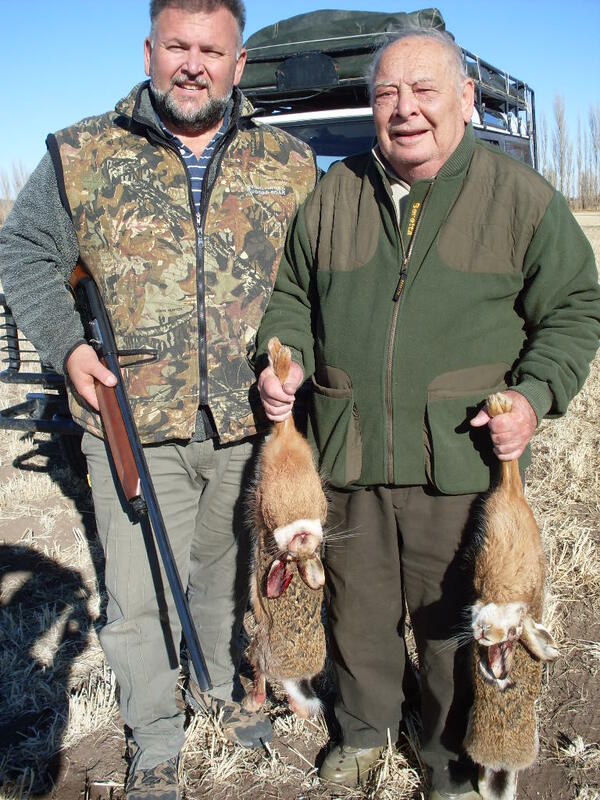 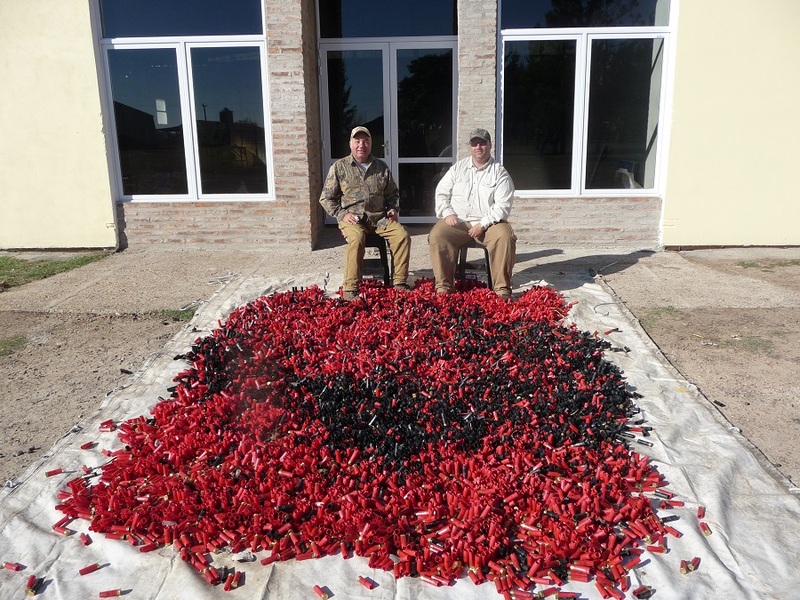 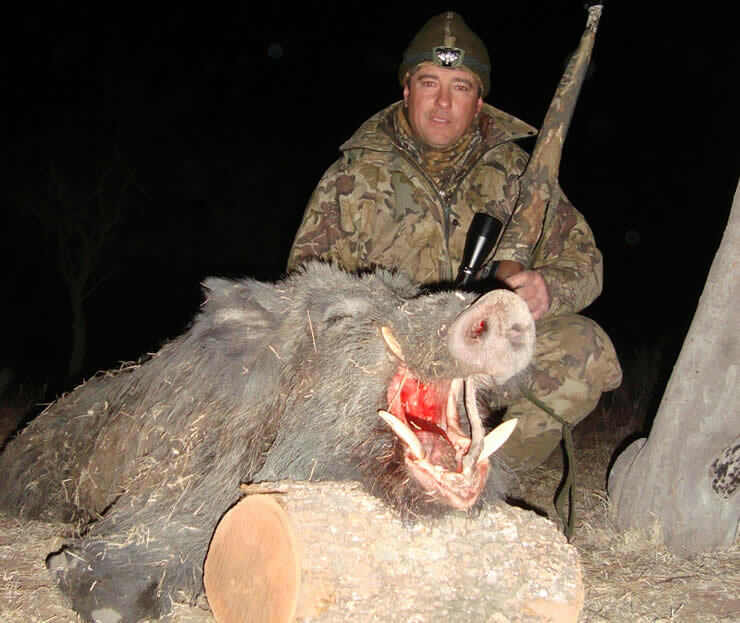 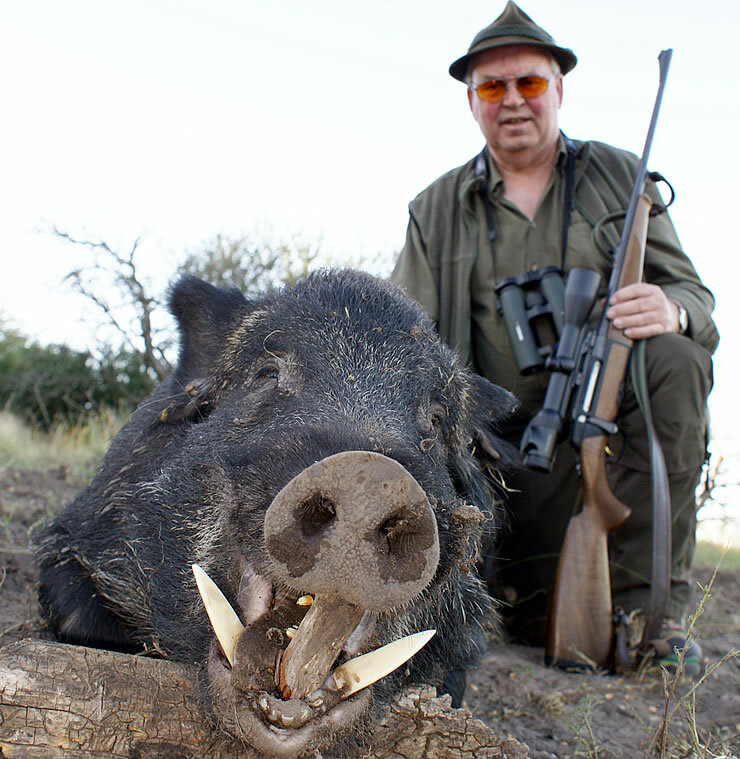 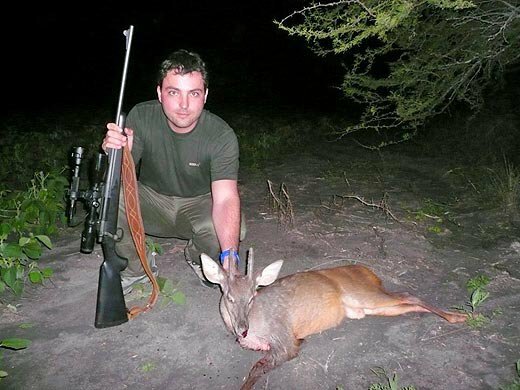 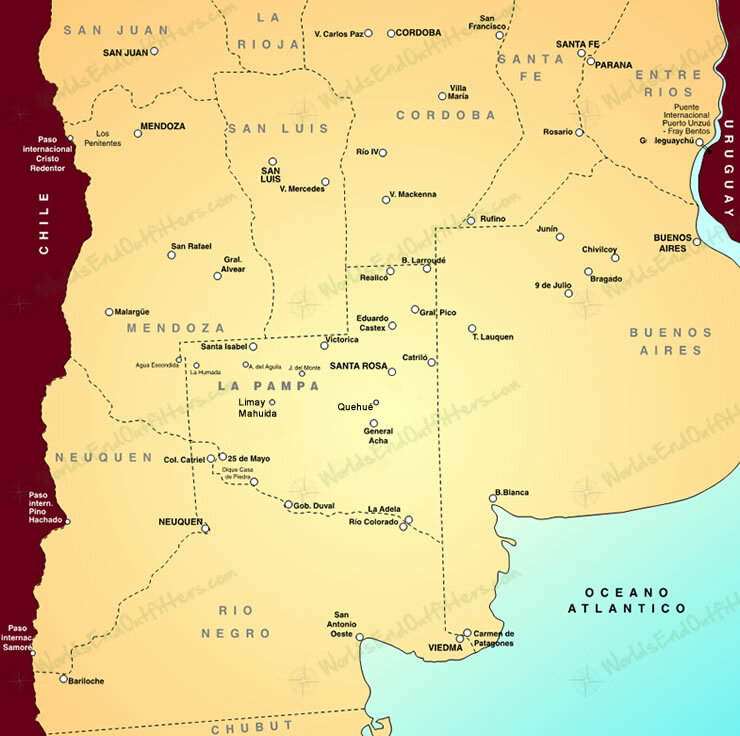 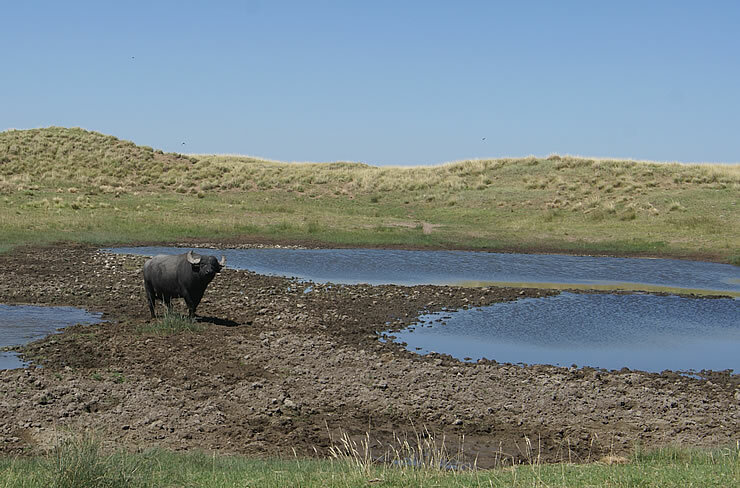 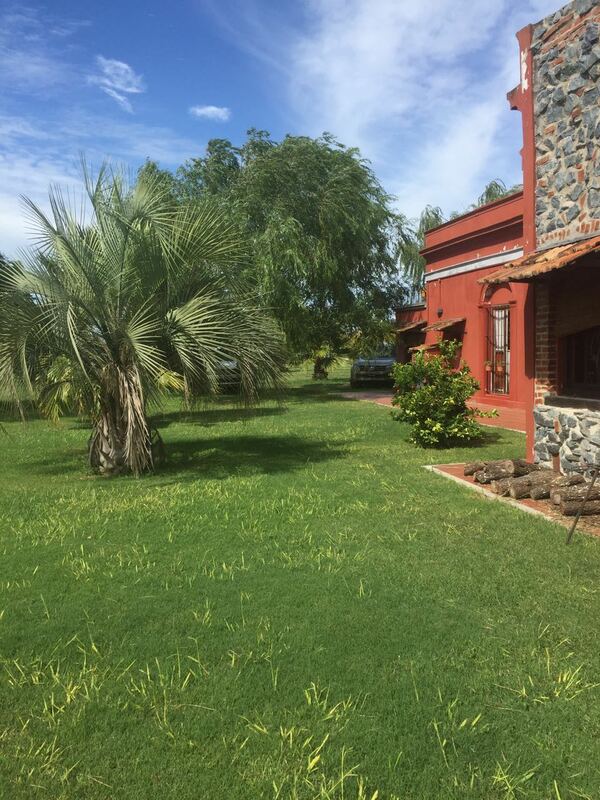 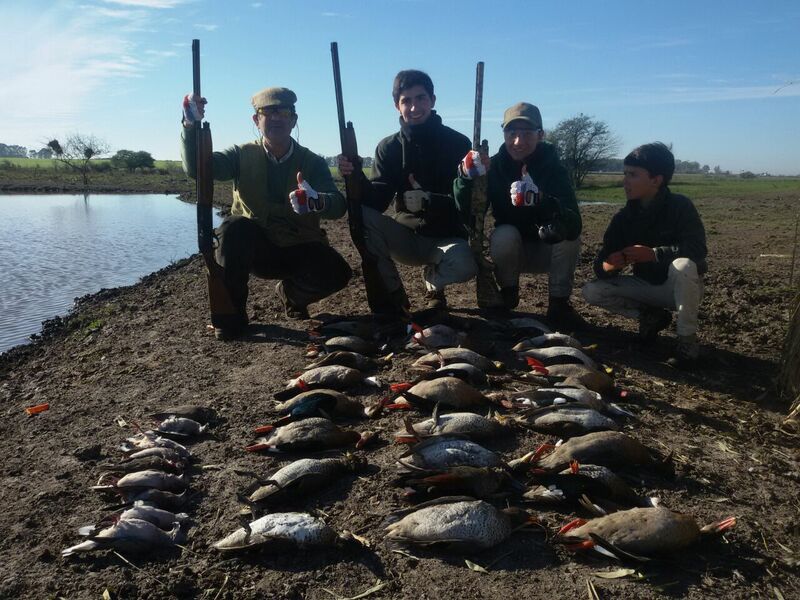 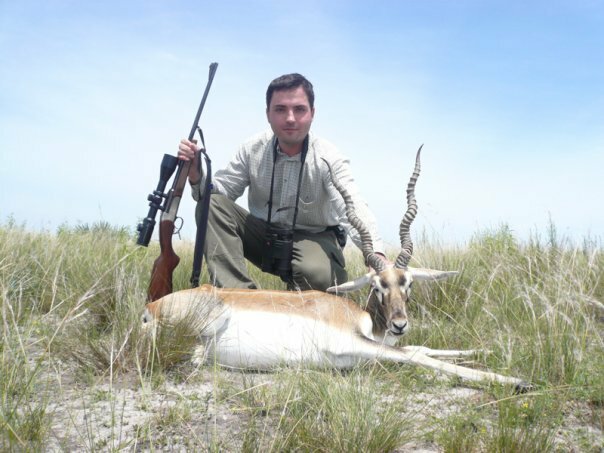 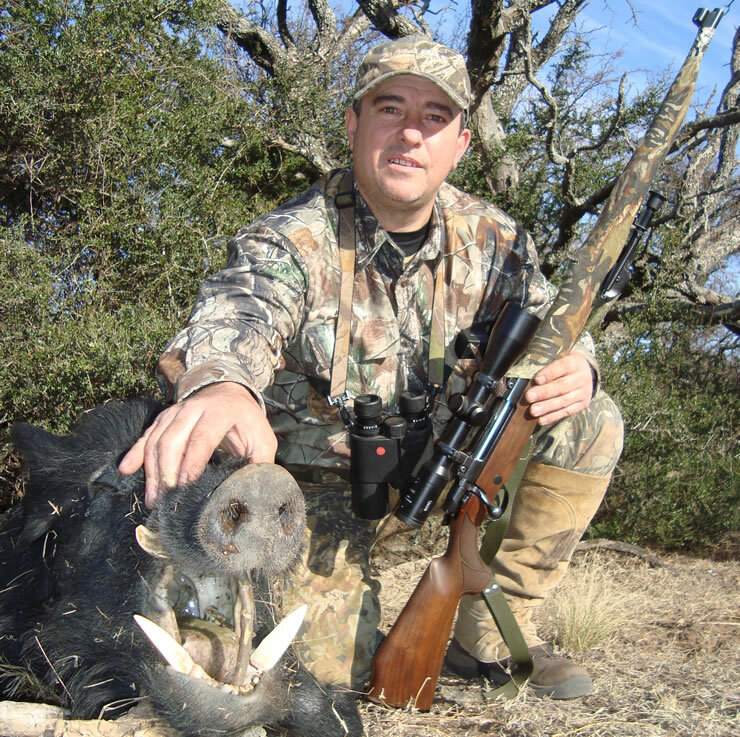 We have hunting rights in the area of La Pampa. 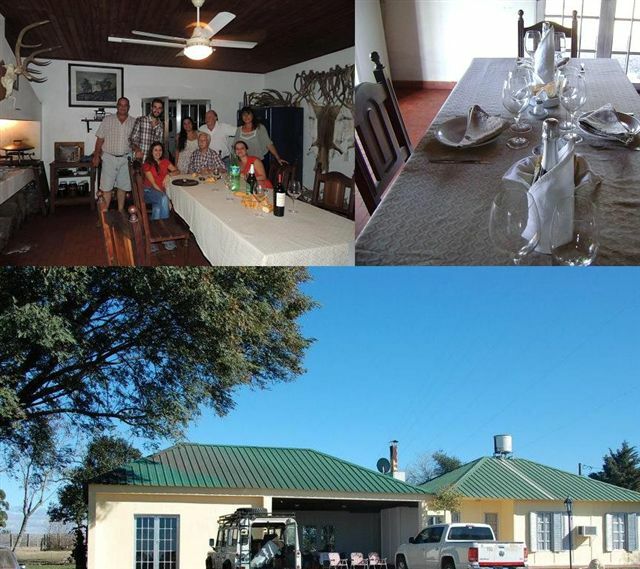 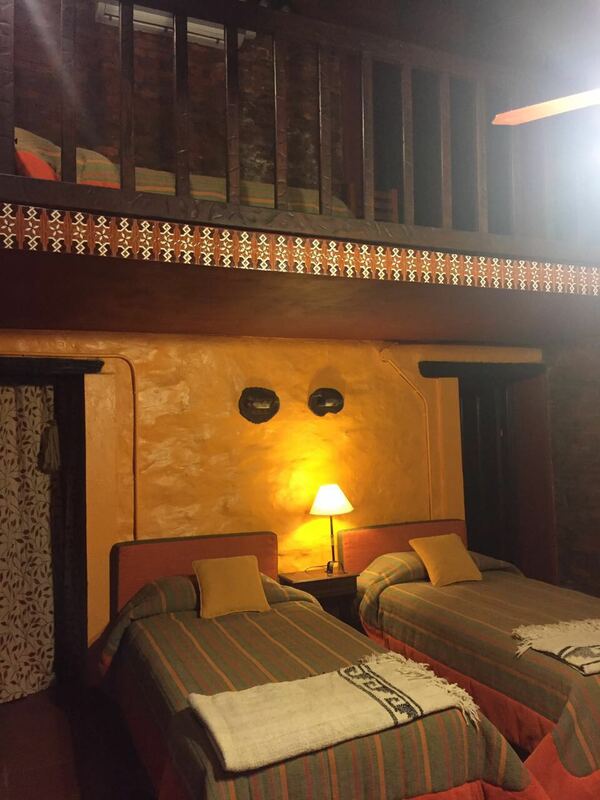 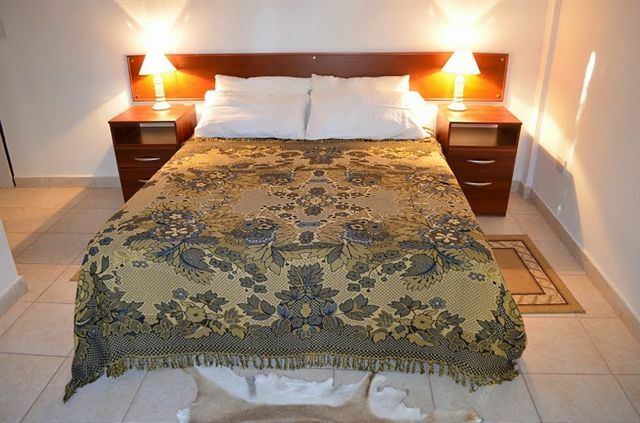 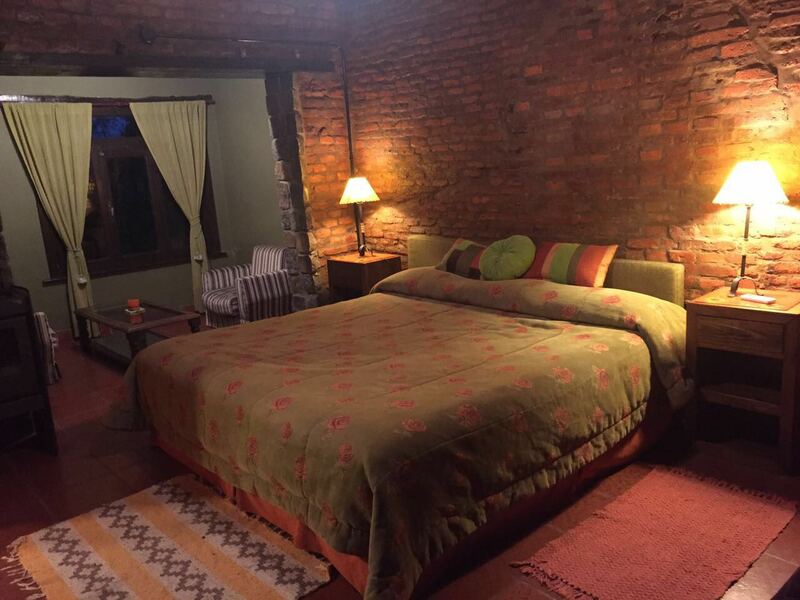 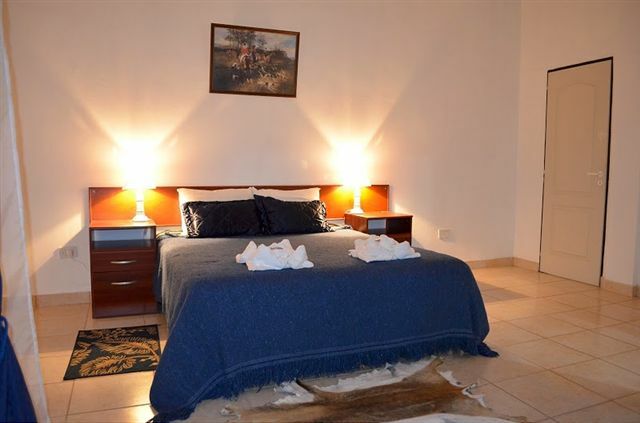 We have luxury lodges with five star accommodations, for the hunter to relax when finished the day’s activities! 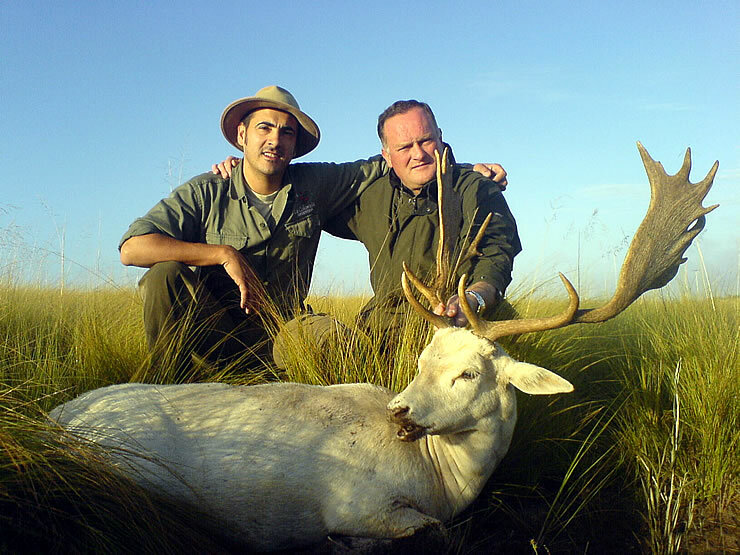 Though mostly known as one of the prime destinations for Red Deer, there are more than fifteen big game species, such as water buffalo, axis deer, blackbuck antelope, just to mention some!! 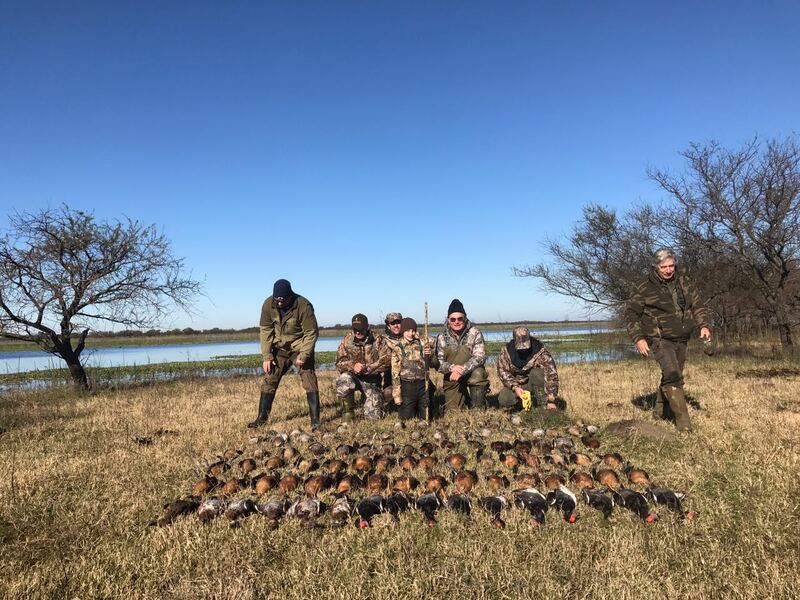 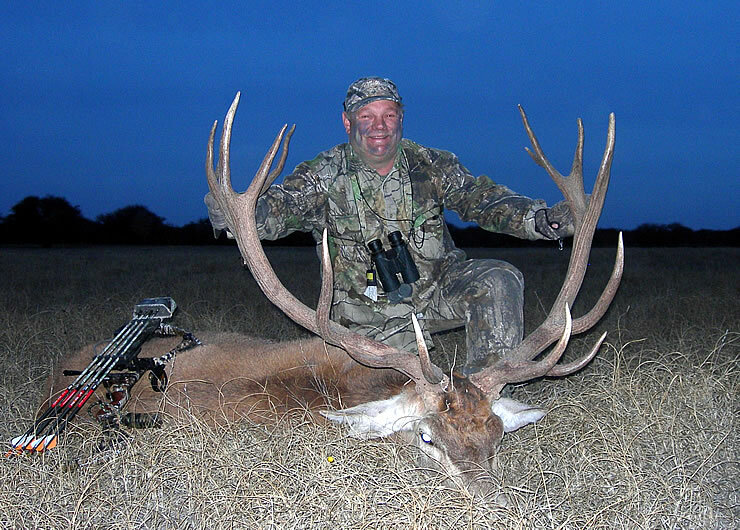 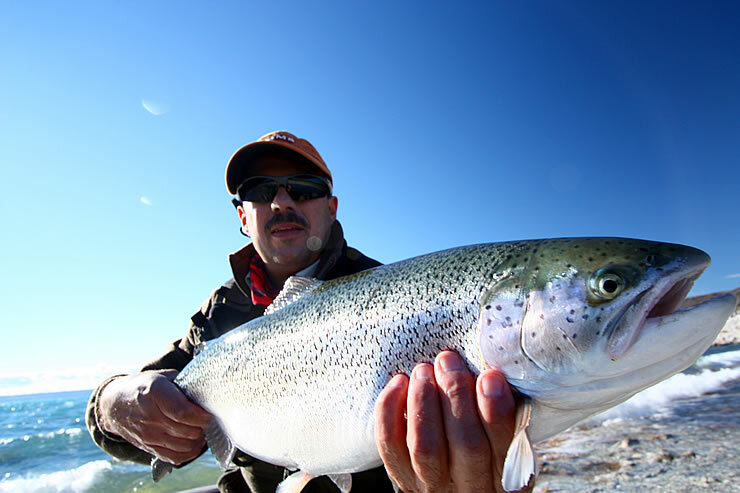 Our guide has more than 15 years of guiding and hosting sportsmen from all over the world, we are ready to help you plan the hunting or fishing trip in Argentina. 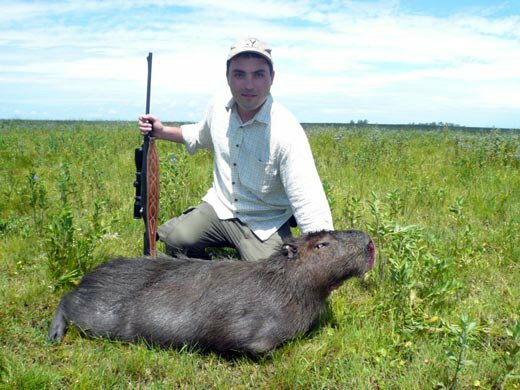 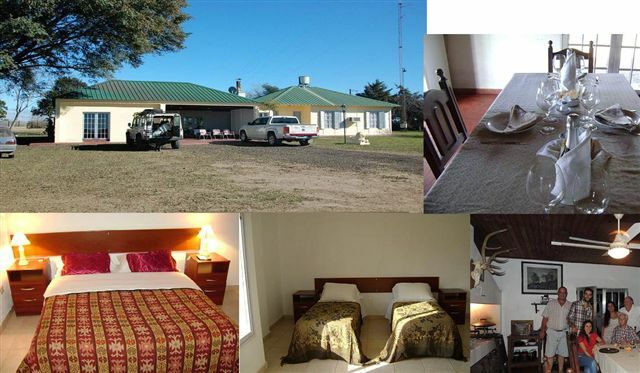 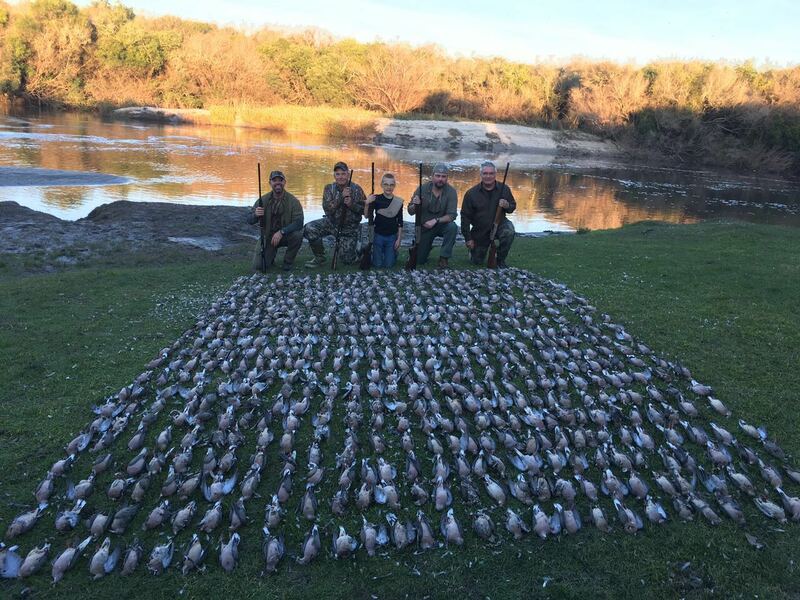 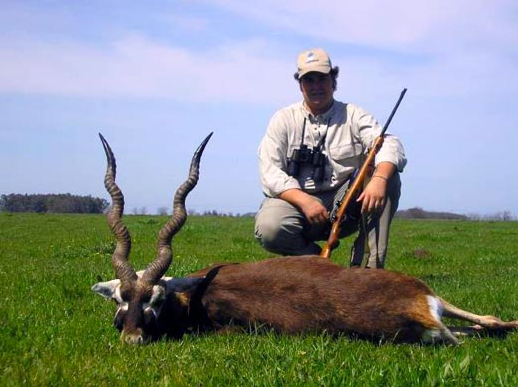 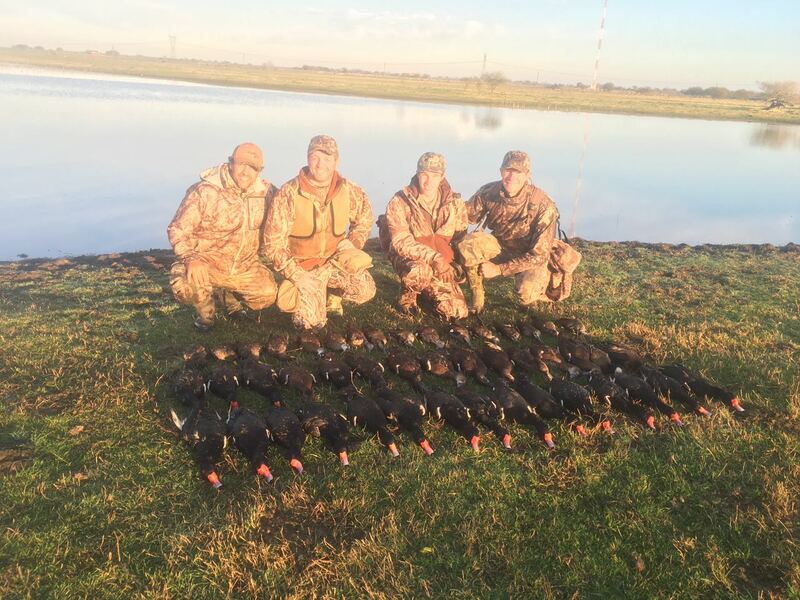 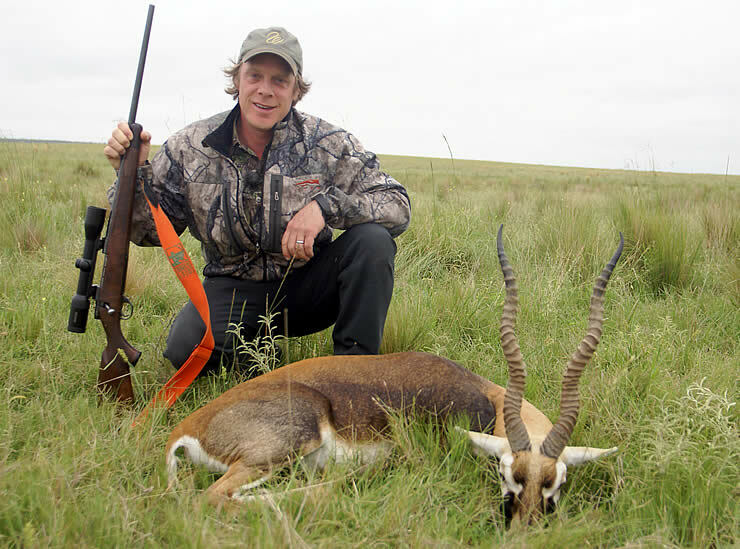 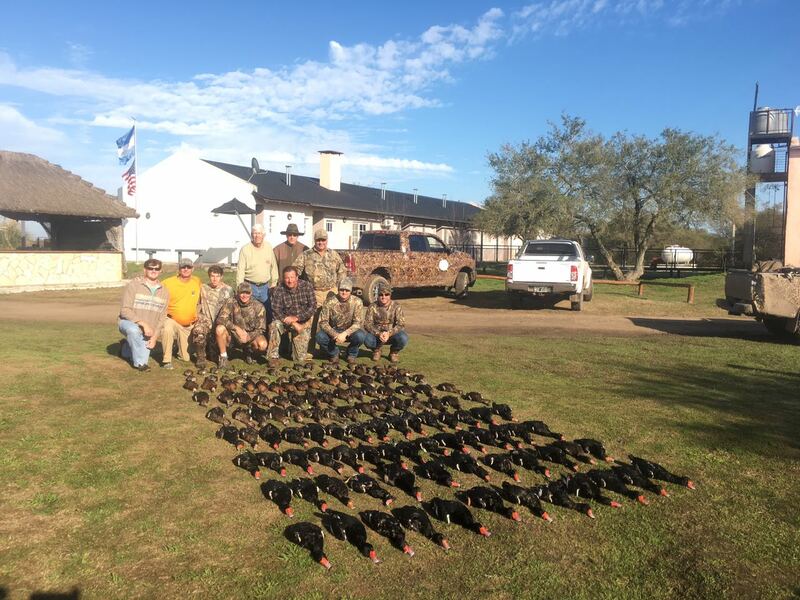 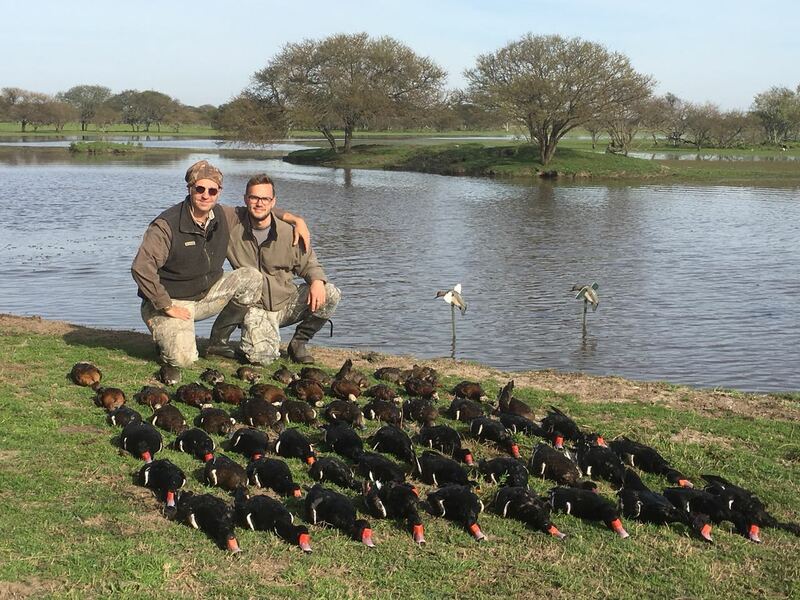 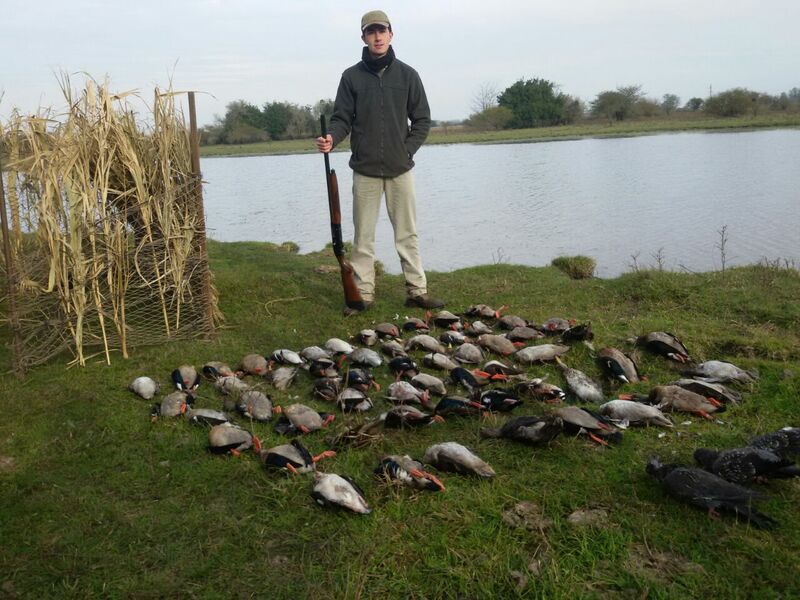 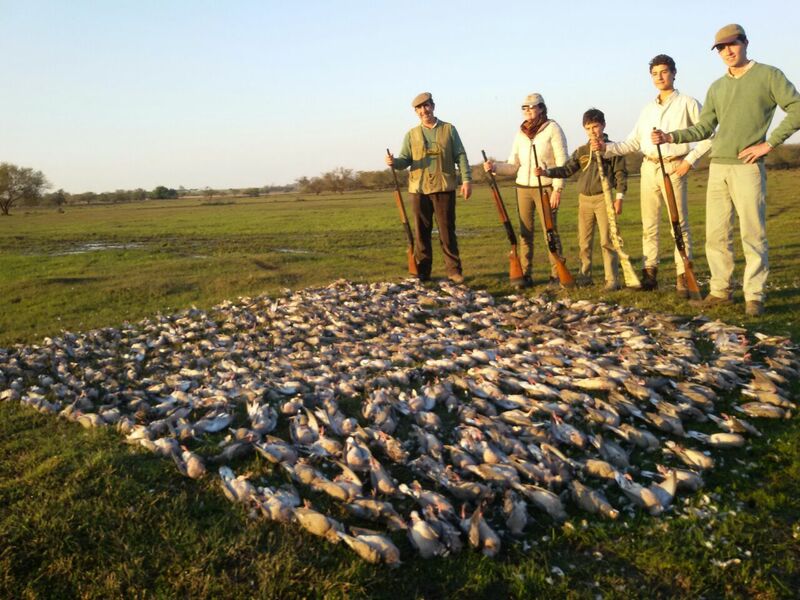 We offer the big game at the very best destination of our country, the province of La Pampa, which has a great variety of big game as well as dove shooting!! 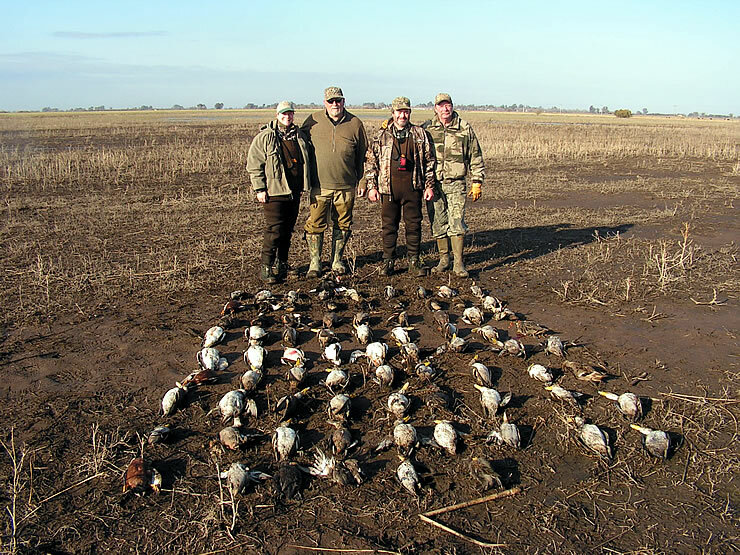 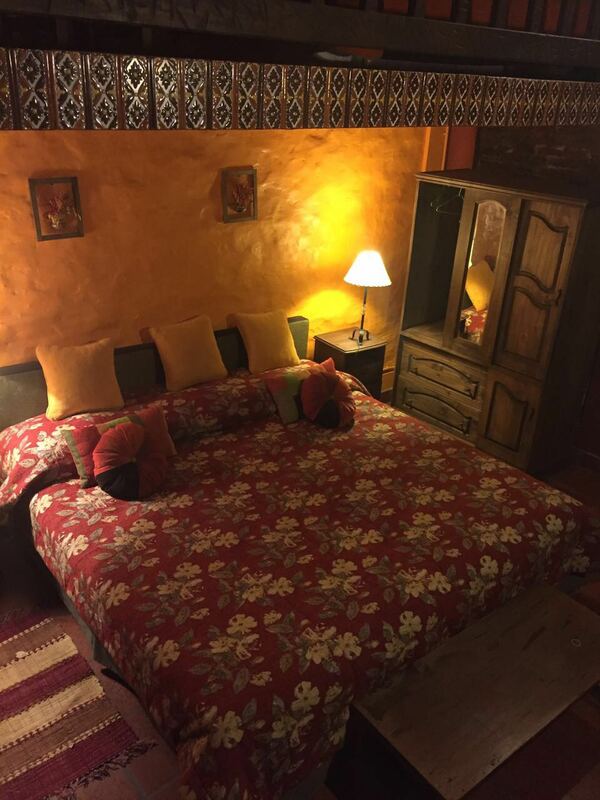 All the places have five star lodging to make the hunter feel home while staying with us. 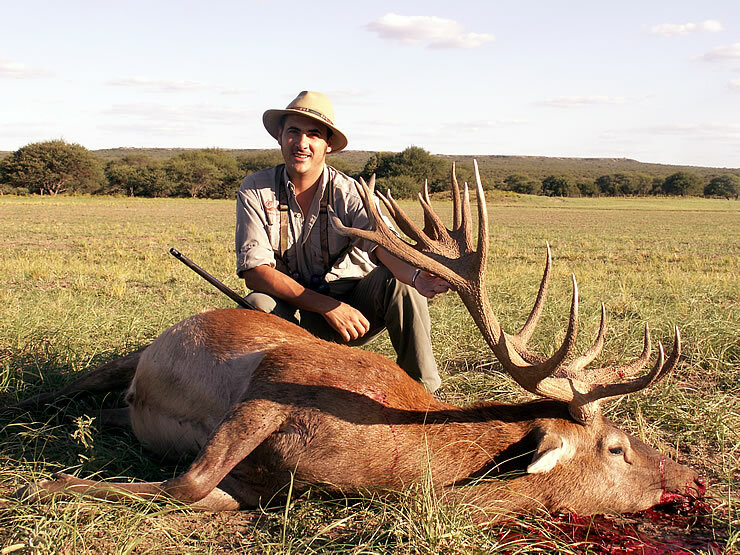 Also we can arrange the big game in other provinces, depending on the hunter wishes. 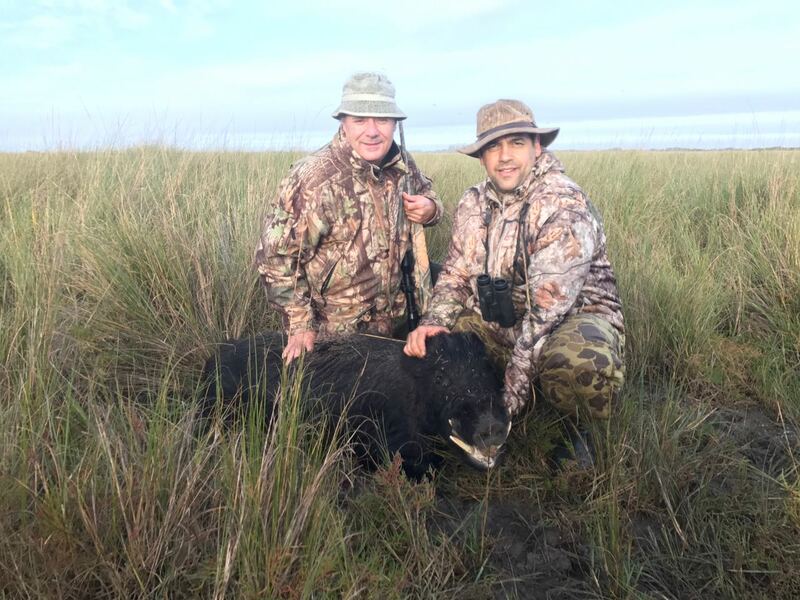 Throughout our experience we can help you plan a hunt tailored to your interest, combo hunts, and flyfishing trips to untamed places in Patagonia. 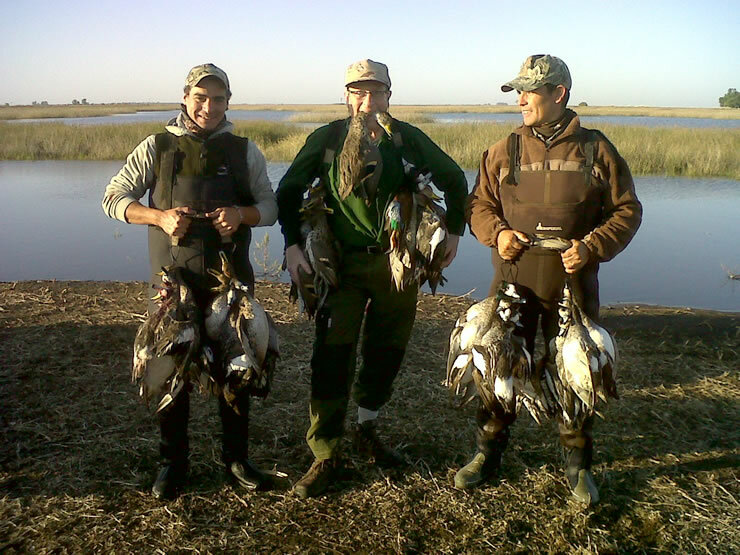 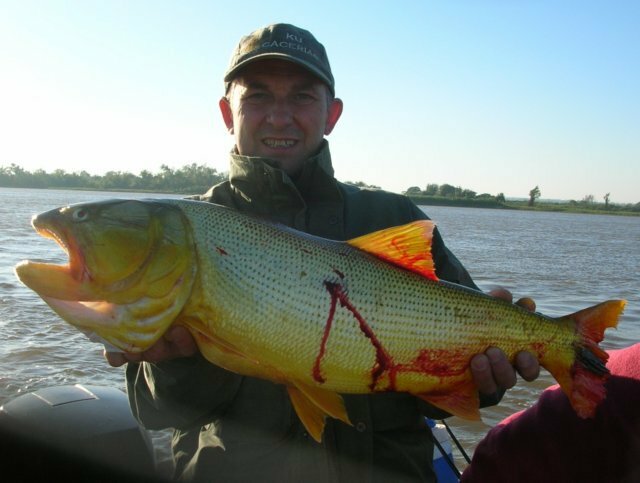 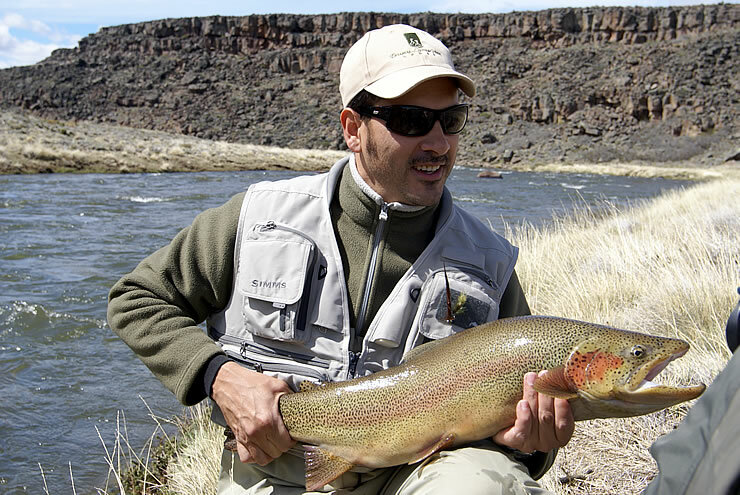 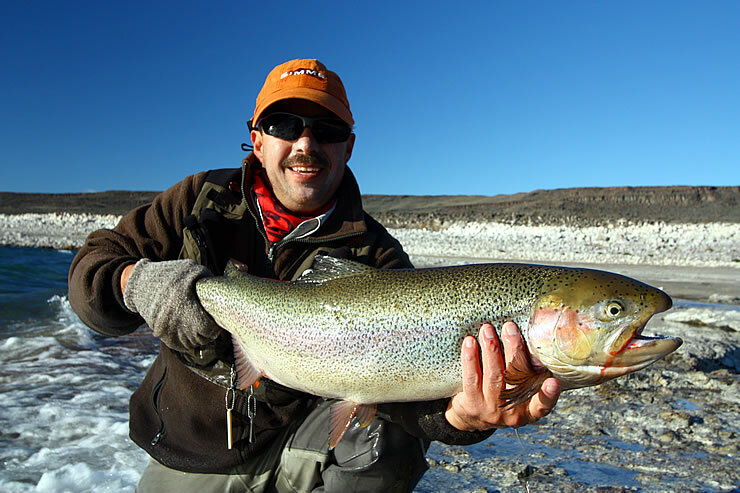 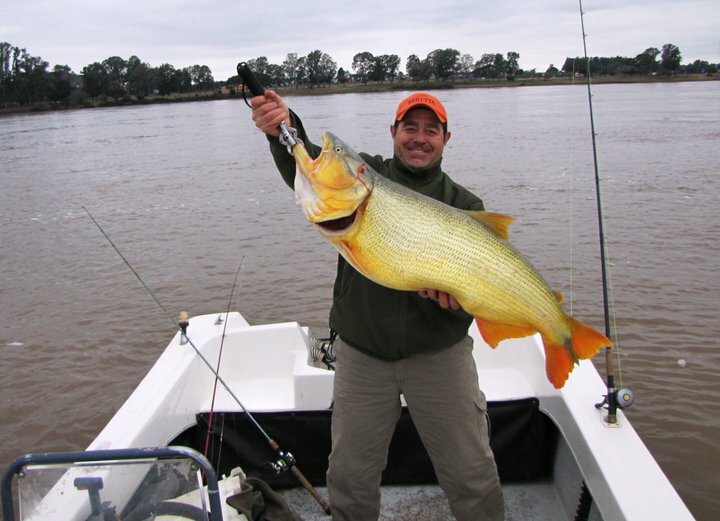 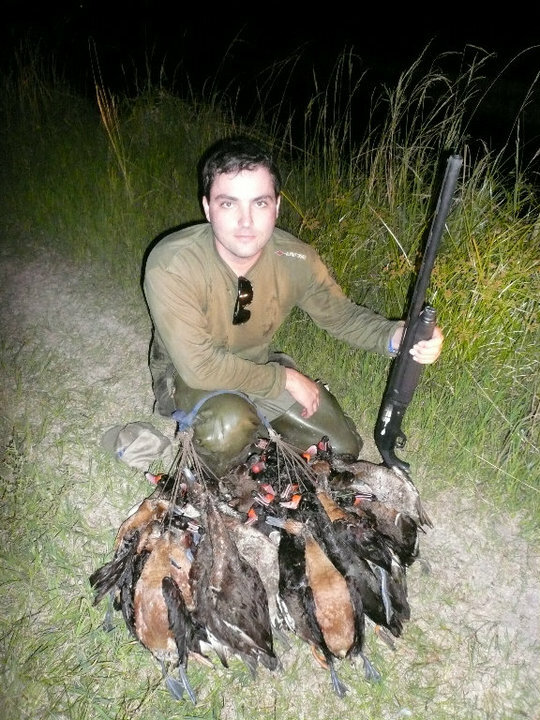 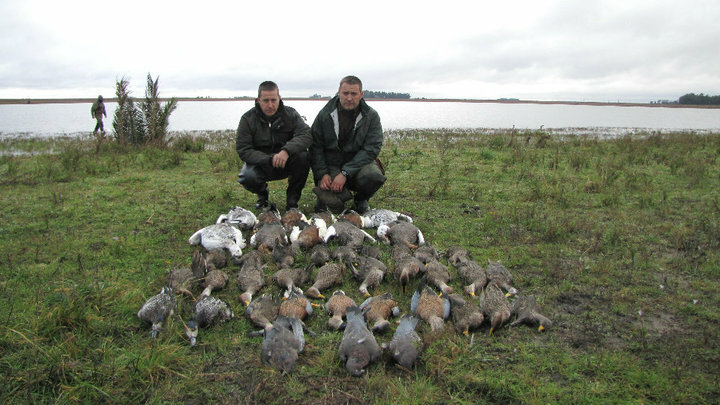 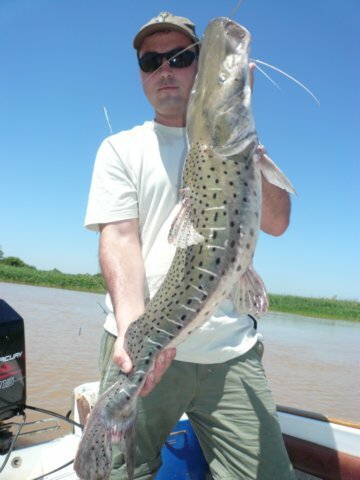 Argentina is recognized as a haven for small game. 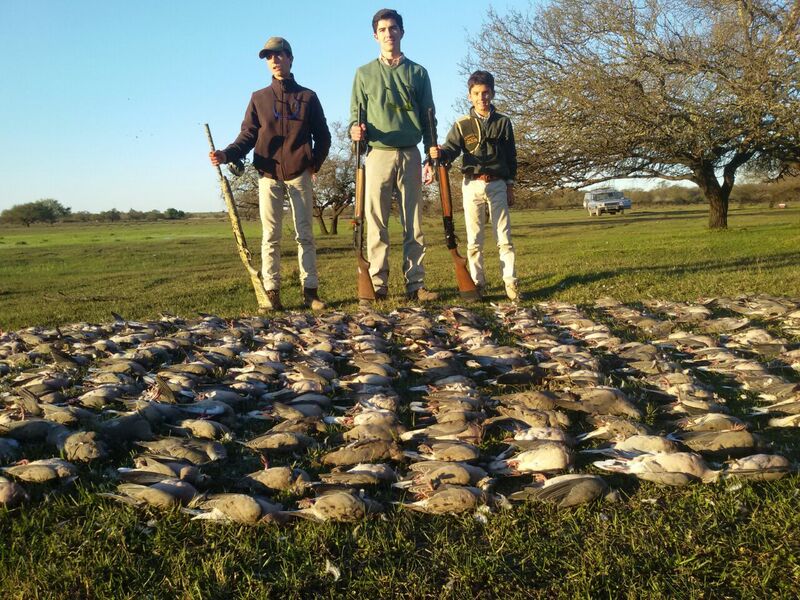 With an abundance of doves, pigeons, partridges and ducks. 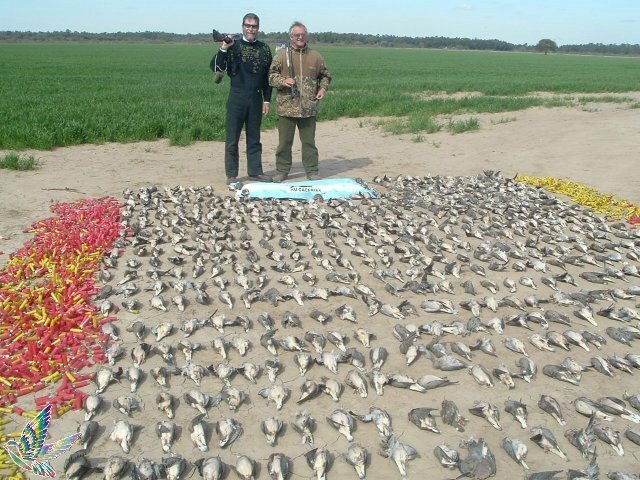 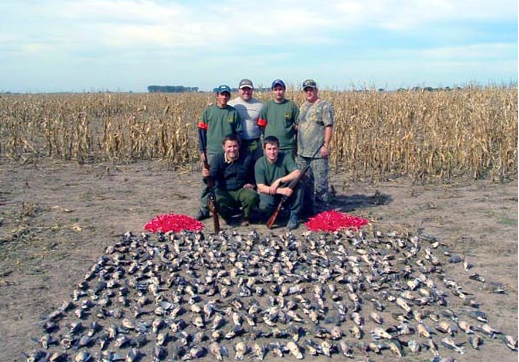 Millions of doves can destroy the local harvest from 25 to 40% each year. 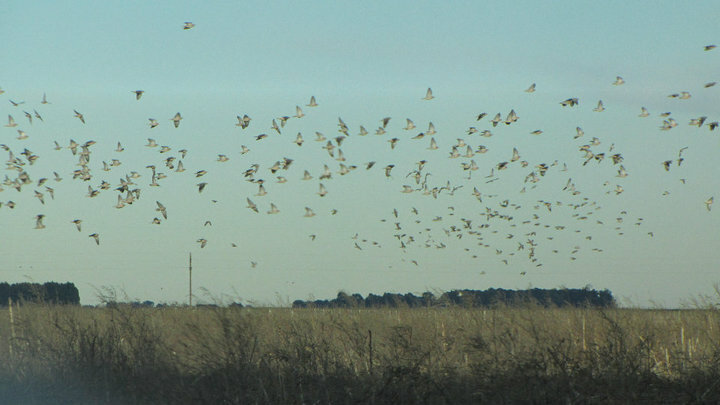 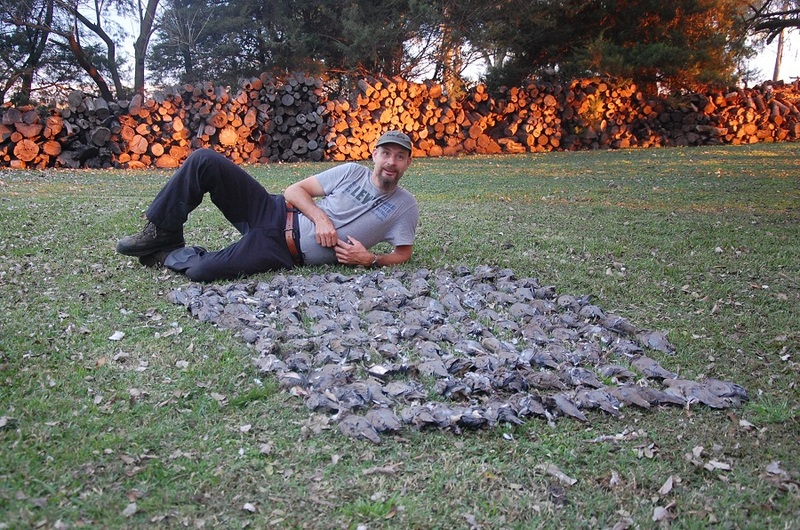 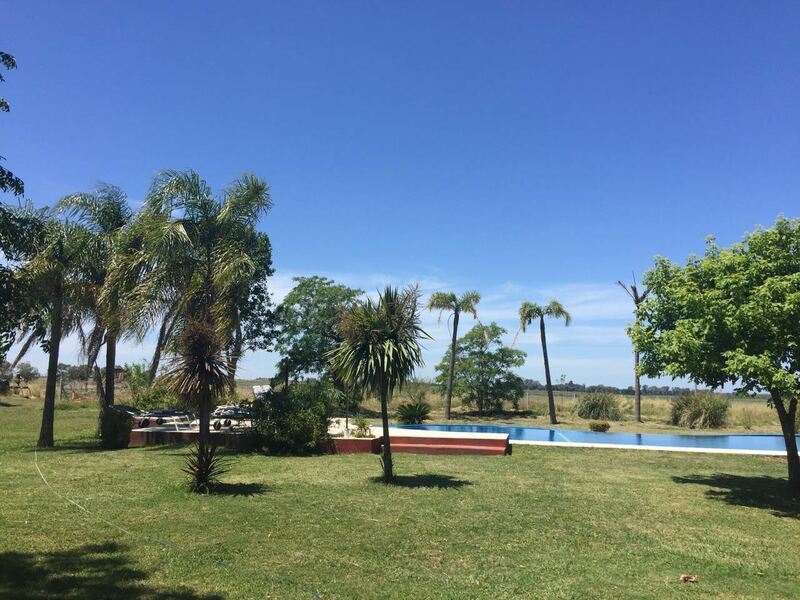 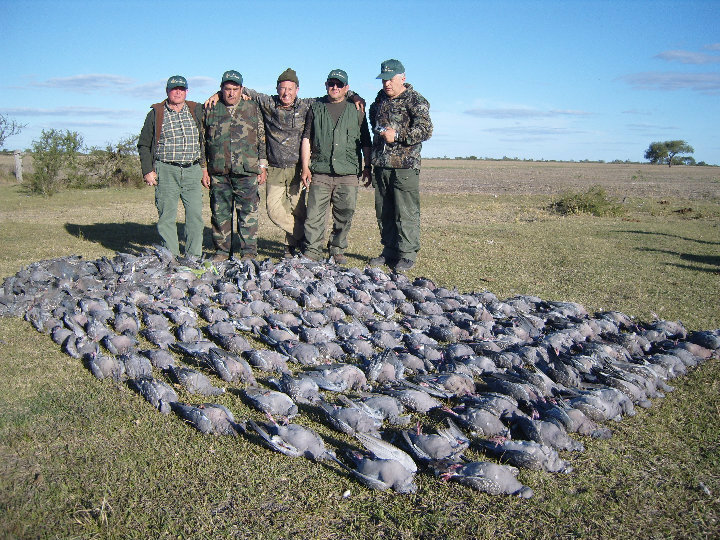 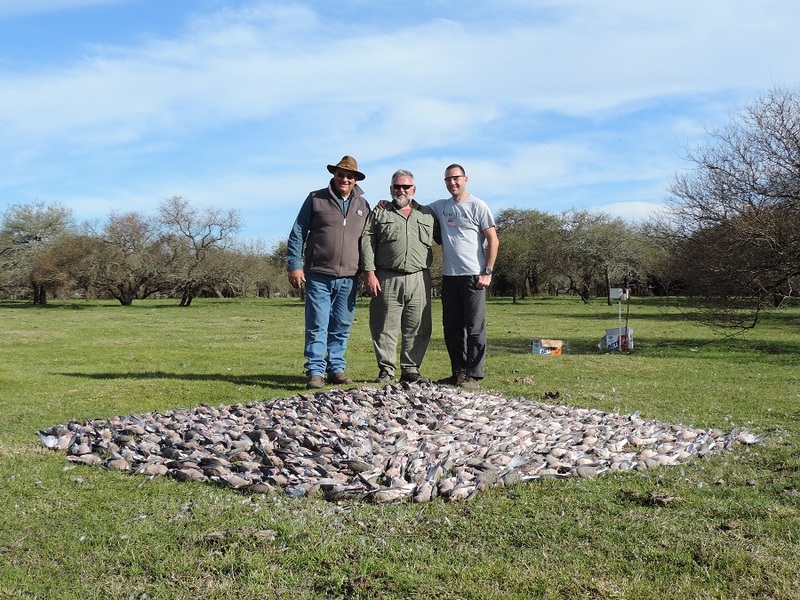 Undoubtedly, you will experience here the famous dove hunting in Argentina. 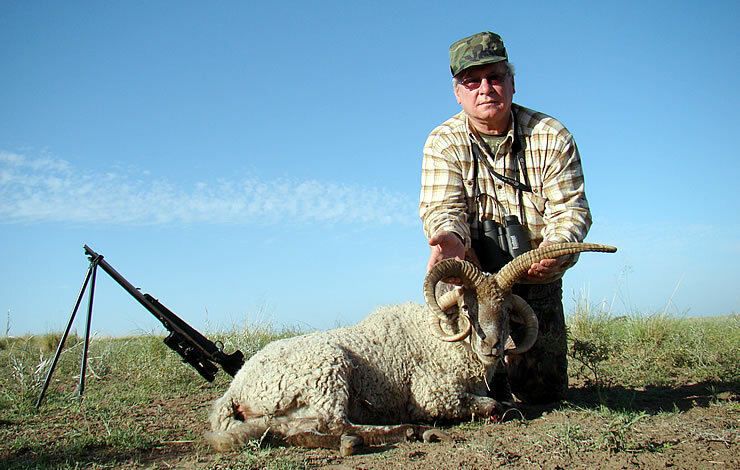 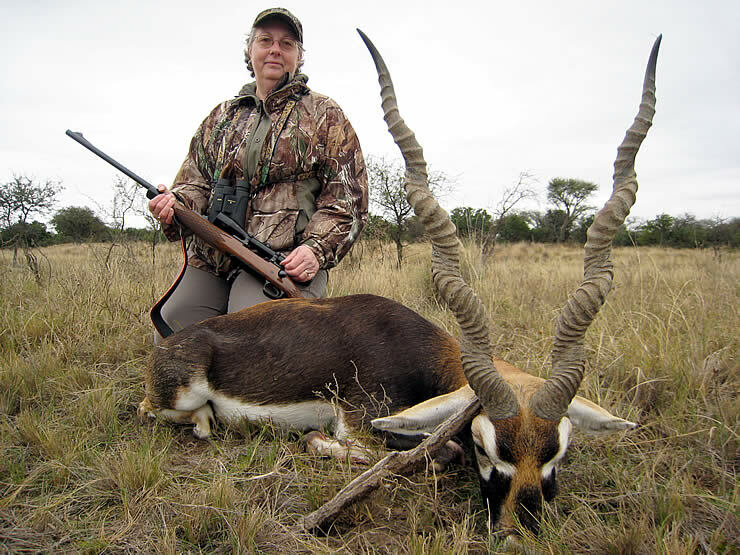 If you are an avid hunter or a beginner, you will find here the kind of shooting you will feel at ease. 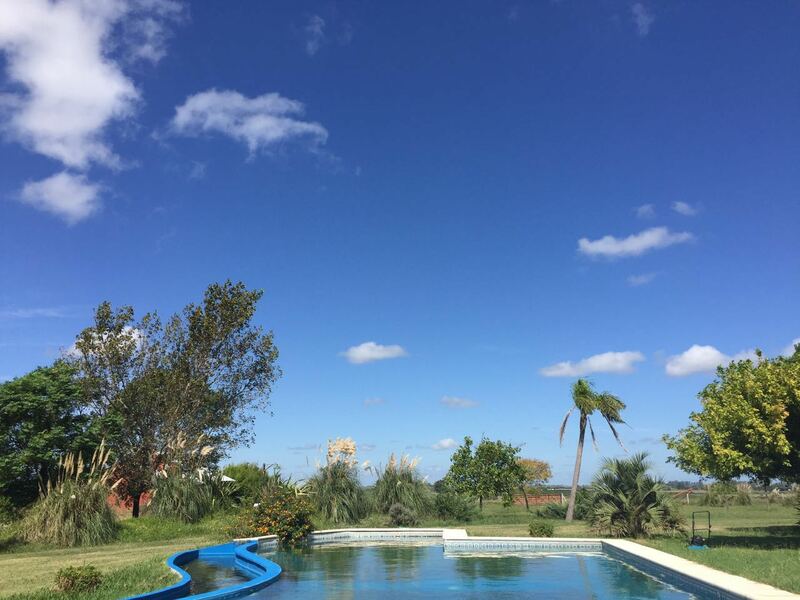 You will be able to practice short shots, long shots and passing shots. 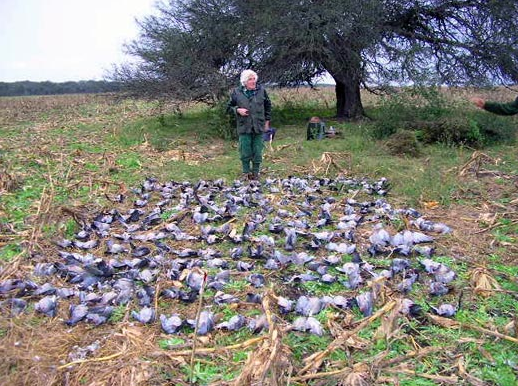 A hunter can shoot thousands of rounds per day for this species and the amount of doves that can hunt is unlimited. 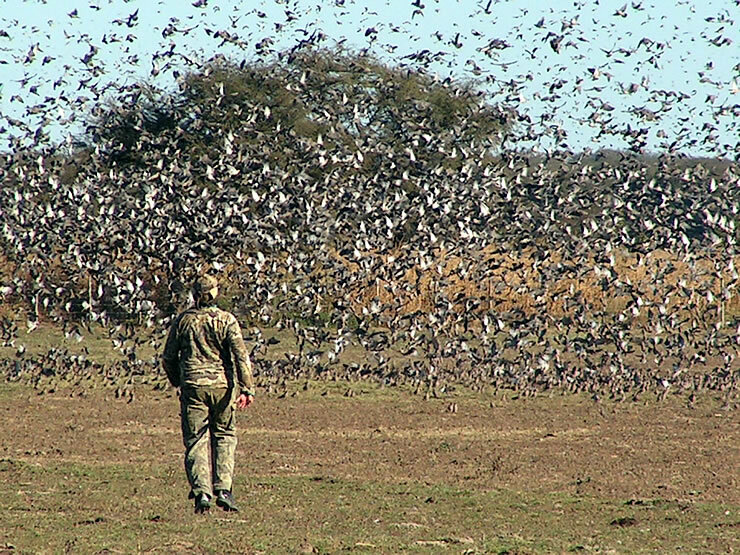 The season for dove hunting is year- round. 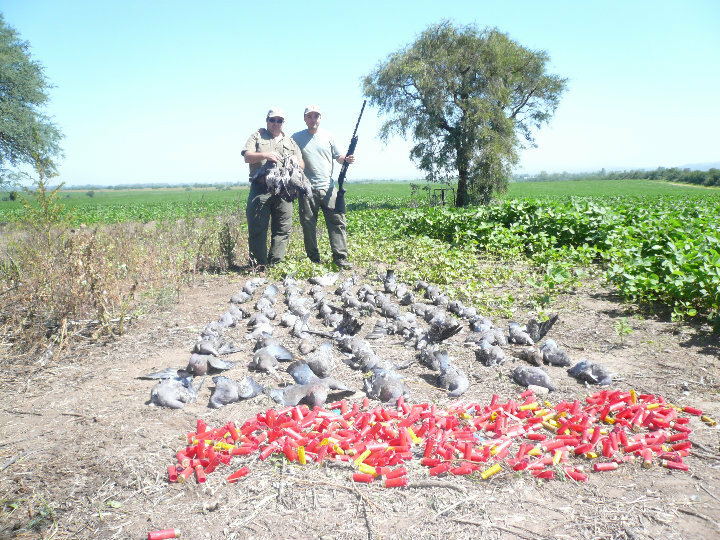 Pigeon hunting has become a real challenge, since there are few places where you can hunt with excellent results. 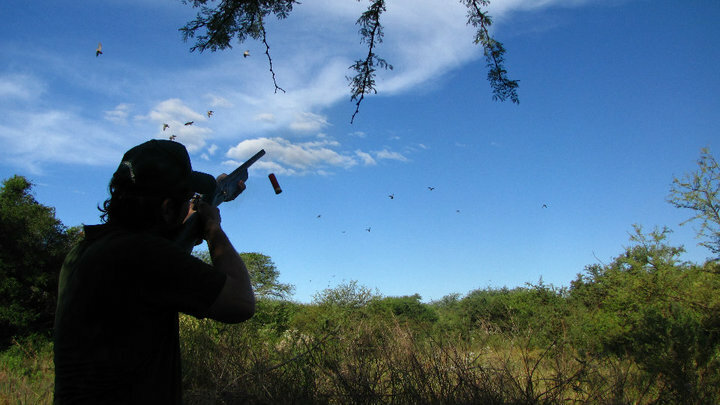 Ku Hunting offers the best hunting of doves, which will allow ample opportunity to practice shots: short shots, long shots and passing. 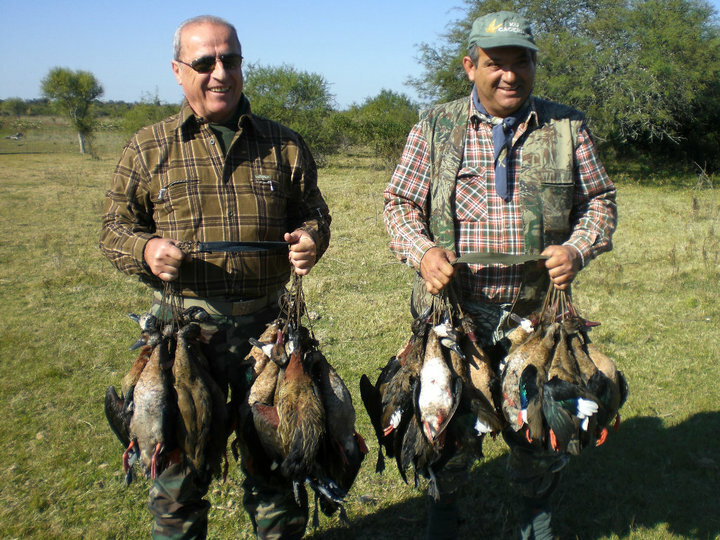 Their hunting is done with static and spinning lures. 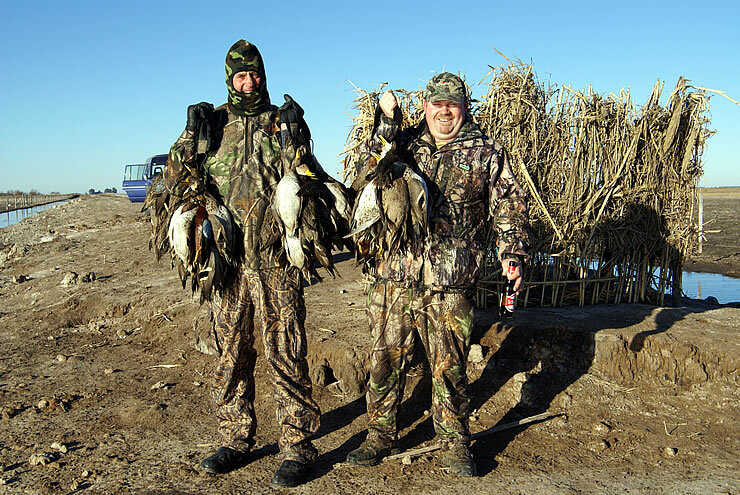 The scope of duck hunting makes it one of the most exciting feathers hunts. 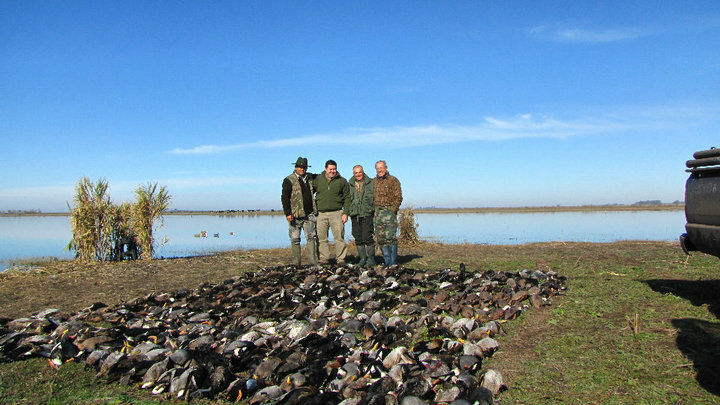 The ducks are expected in blinds made with natural vegetation of the area, in or out of water, which gives the game a stunning setting.The ducks are lured with decoys and callers.Normally, the duck hunting is done in the morning, as the best time to develop this hunt.The duck hunting season is from December to April, authorized in rice growing areas, and from April to August in most regions. 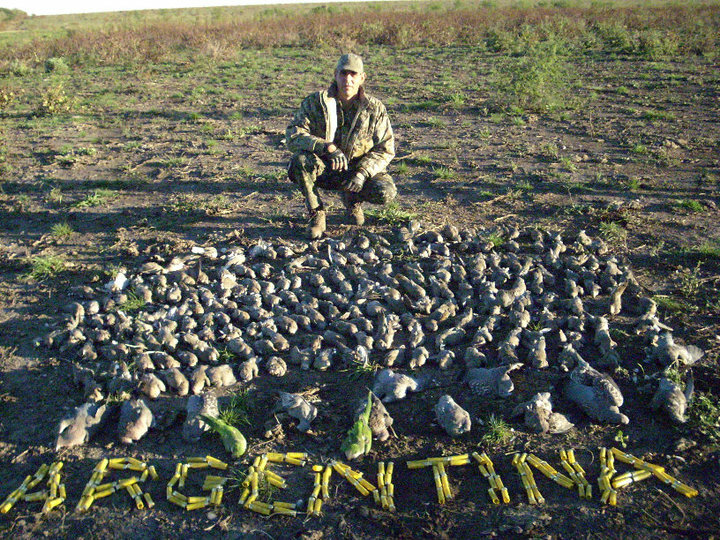 Several species of grouse are found in Argentina. 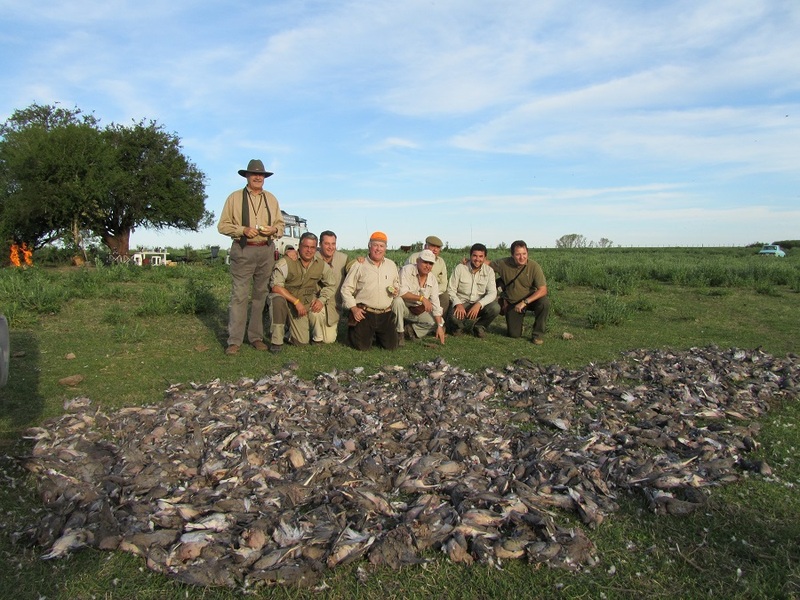 The most common is Inambú partridge or a bit larger than a quail. 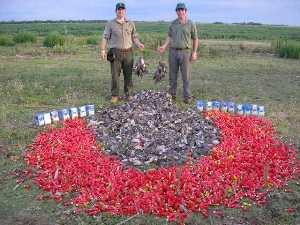 Less common are red partridge and Martinet, the size of a pheasant. 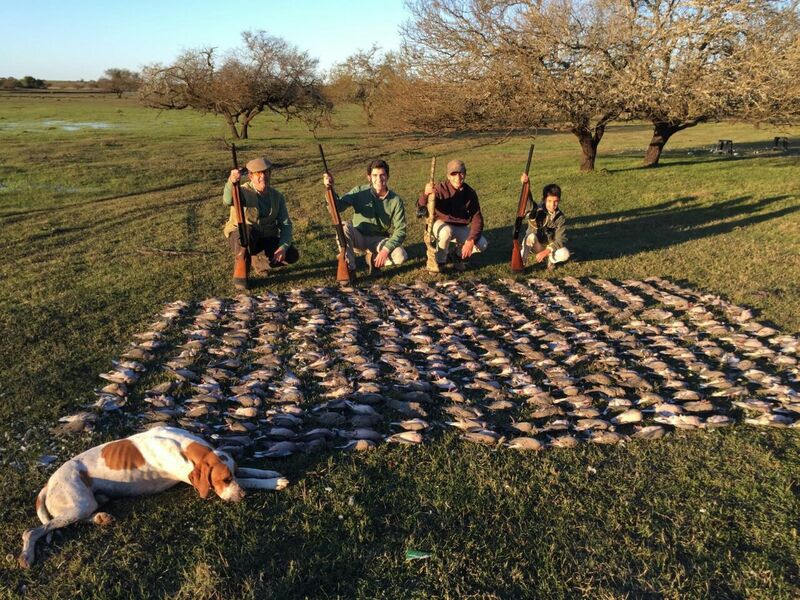 Hunting with dogs is done in the meadows and pastures. 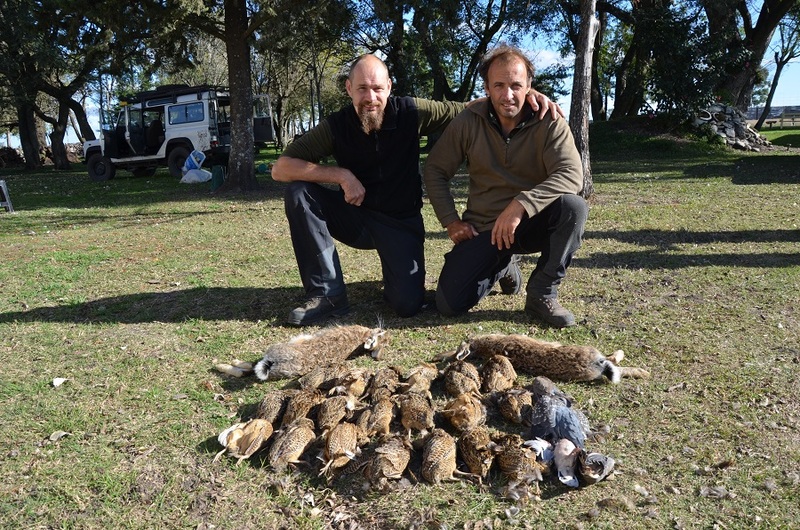 Huge European hares are often found while hunting partridge and hunting is allowed in the same season that the partridge hunting. 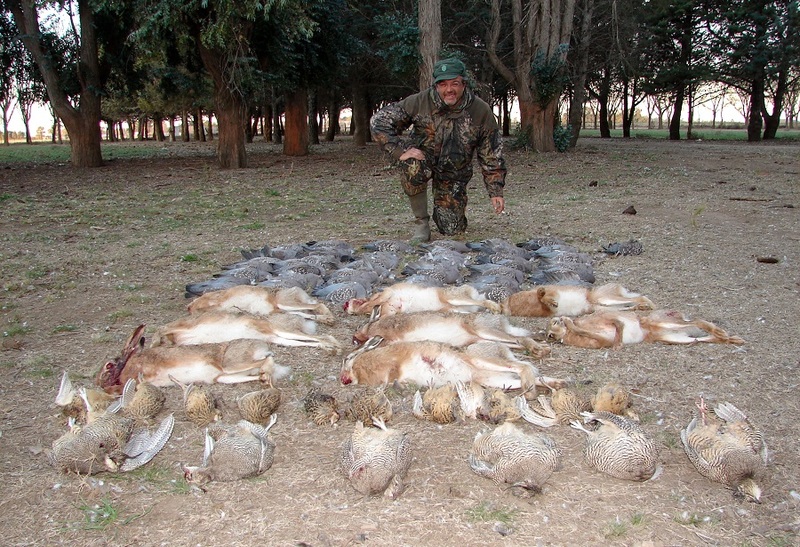 The partridge hunting season is from May to August in most regions. 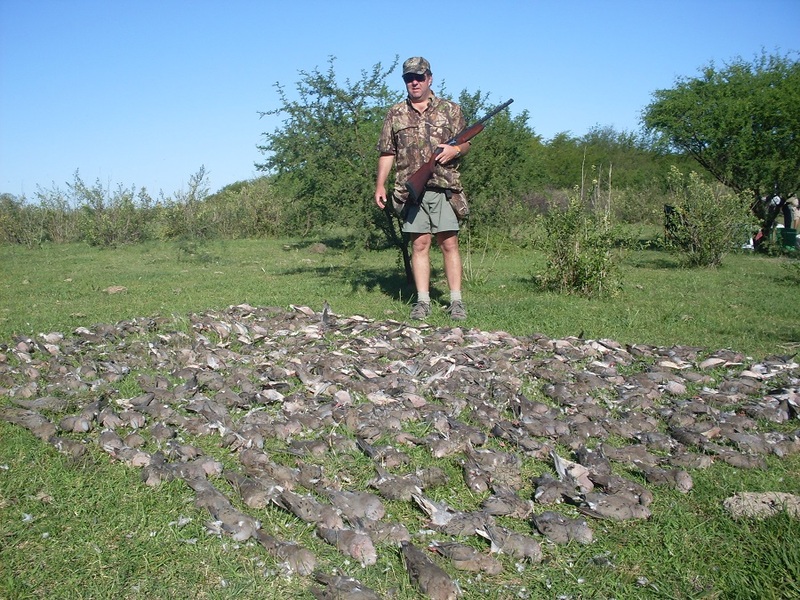 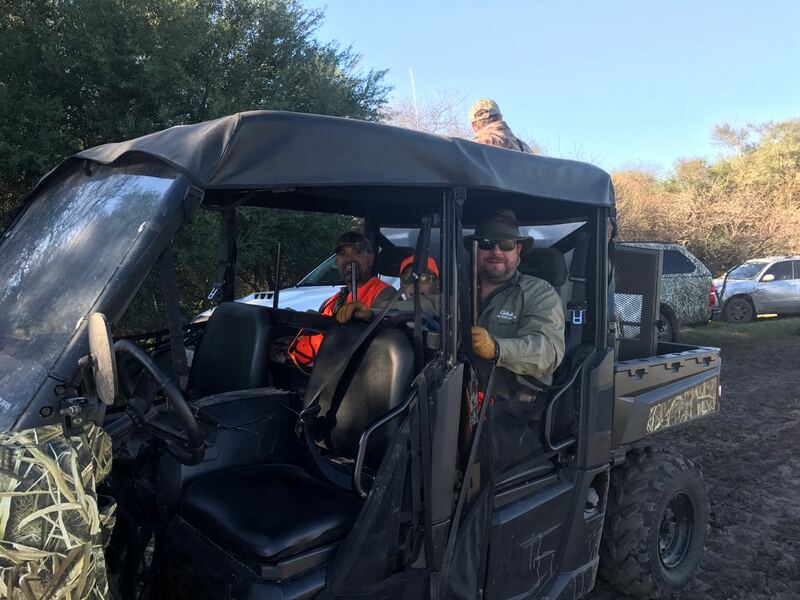 Quail hunts are usually in the afternoon in addition to other species..